The California Dental Association has joined others including the California Medical Association (CMA), the California Pharmacists Association (CPhA), and the National Association of Chain Drug Stores in a federal lawsuit. A coalition of medical professionals filed a lawsuit Monday against state and federal Medicaid administrators over the approval of broad cuts to the program known as Medi-Cal in California. Trade associations for medical professionals say the approved 10 percent cuts to reimbursement rates for Medi-Cal didn't go through appropriate legal channels, according to a lawsuit filed in U.S. District Court. The cuts approved last month by the federal Centers for Medicare and Medicaid Services include a 10 percent reduction to payments for outpatient services for doctors, clinics, optometrists, dental services, medical equipment and pharmacies. The cuts would save the state's general fund $623 million. Doctors and medical professionals say continued cuts will hurt the state's already ailing Medi-Cal system, and it is already difficult for recipients to find doctors who still participate in the federal program. The state of California ended adult Medicaid services except for pregnant women and some emergencies in 2009. However, the Medicaid system called Deni-Cal in California does provide children's services. California has one of America's lowest compensation rates for dentists and other health providers. Dentists and physicians know that the California Medicaid system is on the verge of collapse since NOBODY is going to accept another 10 per cent cut in the fees they now charge. Providers will simply refuse to care for the poor, blind and disabled who qualify for Medicaid. The CDA believes this latest attack on the already inadequate Medi-Cal network of dental care will result in further hindrance of dentists' ability to provide appropriate care. 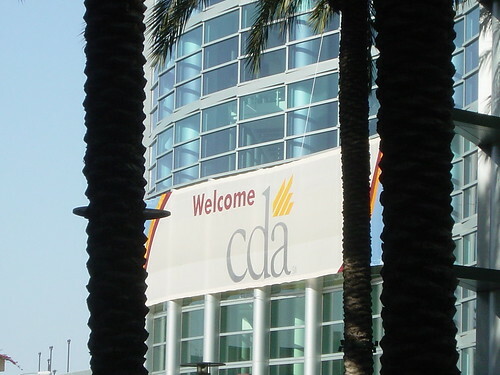 "The state's elimination of adult dental services in 2009 was devastating to low-income Californians," said Dan Davidson, DMD, president of the CDA. "More cuts to children's services are unconscionable." The information that CMS relied on to approve the state's cuts do not measure whether and how patients' access to care would be impacted or otherwise take into consideration, as required by law, the costs to provide the care, according to the CDA. In fact, a recent poll and independent studies show that access to care is already unequal, making the recent cuts illegal by federal standards. Because California Medi-Cal rates are already extremely low, many providers cannot afford to participate. Kaiser State Health Facts lists California as the lowest reimbursed state in the nation. The co-payments and arbitrary limits on services will create additional barriers for sick, vulnerable patients seeking care and, ultimately, they will be forced to delay care or use emergency rooms for basic health services, according to the CDA. CMA, CPhA, and CDA successfully sued in the past to enjoin prior Medi-Cal cuts and expect to demonstrate once again that federal law, which ensures that Medi-Cal patients have equal access to healthcare, was not followed. If anything, there will be continued uncertainty in treating the poor. Previously, the state has asked clinics and providers who were paid while an appeal of a previous cut was made, to reimburse the state when the appeal was denied. This was many months later. Of course, these providers and clinics did not have the money to pay the state back. How can a dentist be expected to provide services and then find out in six months that the money they thought they were receiving is now actually 10 per cent less and you owe California a check for the difference. Who in their right mind would participate in such a system?